4th BIMSTEC (Bay of Bengal Initiative for Multi-Sectoral Technical and Economic Cooperation) Summit is being held in Kathmandu on 30-31 August under the theme, ‘Towards a peaceful, prosperous and sustainable Bay of Bengal region.’ The summit is held at a time when the countries under the grouping, i.e., Nepal, India, Bangladesh, Sri Lanka, Myanmar, Bhutan and Thailand are all increasingly susceptible to natural disasters of one kind or other. Except Nepal, all countries are also having long coastal borders. India alone has more than 7500 kilometers of coastline. 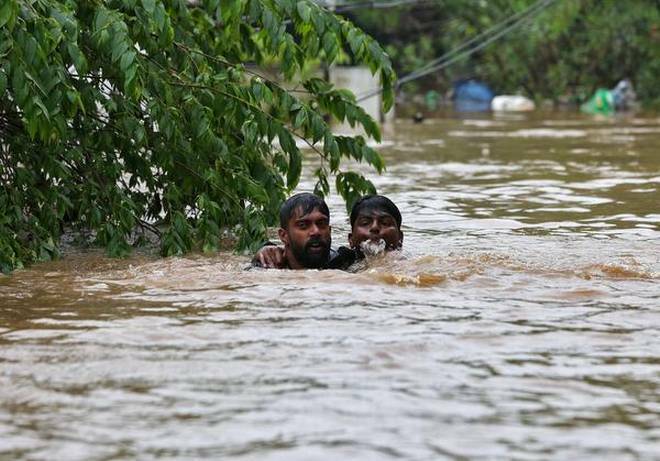 Will the member countries like India take up the issue of natural disasters in all seriousness in the light of the calamities Kerala, Karnataka, Orissa, Tamil Nadu etc in India and Myanmar, Bangladesh, Thailand in the region have gone through recently? Not many have such expectations. However, there is a feeling that a “Bay of Bengal Early Warning System” and a “Disaster Risk Reduction Mechanism” could, at least, be put in place. A regional mechanism is becoming increasingly relevant today. According to UN Economic and Social Commission for Asia and the Pacific (ESCAP), Asia’s poorest countries have few defenses against natural disasters and will have to grapple with their enormous human and economic toll. ESCAP’s annual ‘Disaster Report’ predicts that 40% of worldwide economic losses from disasters will occur in Asia in the decade spanning 2020-2030, with the region’s largest economies including India – the worst affected. Countries like Myanmar, Cambodia, the Philippines, Bangladesh and Laos, however, do not have adequate capacity to either prepare for disasters or respond to their aftermath, thus putting far more people at risk of death or displacement. 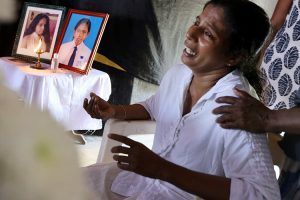 The report said that South and Southeast Asia recorded 362,335 fatalities, and the highest in the 2004 tsunami catastrophe. About 261,000 people were killed in South and Southwest Asia, 137,628 in East and Northeast Asia and 60,000 in North and Central Asia over the same period. People affected by disasters ranged from 1.1 billion in Asia’s south and southwest to just 1.6 million in the more affluent eastern and northern nations. Populations are swelling in coastal regions most vulnerable to typhoons and floods, which are predicted to grow more intense as oceans warm. In recent years, parts of China, Hong Kong, Taiwan, Japan, Vietnam, Thailand, Bangladesh, India and Nepal have been inundated from severe storms. During 2020-2030, China, India, Bangladesh and Pakistan will experience losses two to three times greater than in the reference year of 2010 due to climate change, the UN report predicts. Will the Bay of Bengal community pay heed to such studies? However, politics makes everything so muted in recent times. If New Delhi cannot even consider Kerala’s case with all seriousness, how can we expect it on the external front? Under false prestige, India even turned down offers from our neighbours and ‘extended’ neighbours? And the State of Kerala is forced to kneel down before international financial institutions for loans and naturally the World Bank is emerging as the ‘reservoir of funds’ for everything—from poverty reduction to disaster relief ! On the other side, New Delhi does not seem to have any interest in developing SAARC as a regional mechanism for ensuring peace and stability. However, in the Summit, the member countries are expected to sign a series of agreements which included establishment of BIMSTEC Grid Interconnection, which is to facilitate buying and selling electricity among the member states once the cross-country energy grids are put in place. These agreements might open the door for energy cooperation among the seven South and Southeast Asian countries. These are all important matters, no doubt. But the ultimate success of the grouping depends on how the core countries negotiate with the members of the associate collectivities in South and Southeast India (like SAARC and ASEAN) rather than becoming a strategic cog in the US-led Indo-Pacific region.